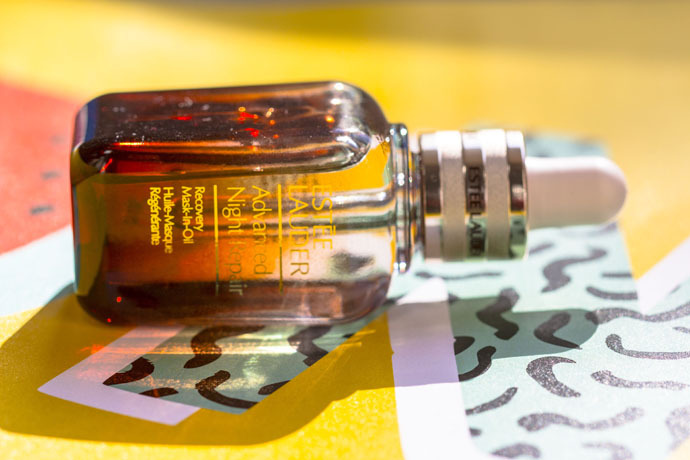 You already know that I’m a fan of the Advanced Night Repair range; I’ve been using the Synchronized Recovery Complex for many years and in my opinion it’s one of the most efficient serums. 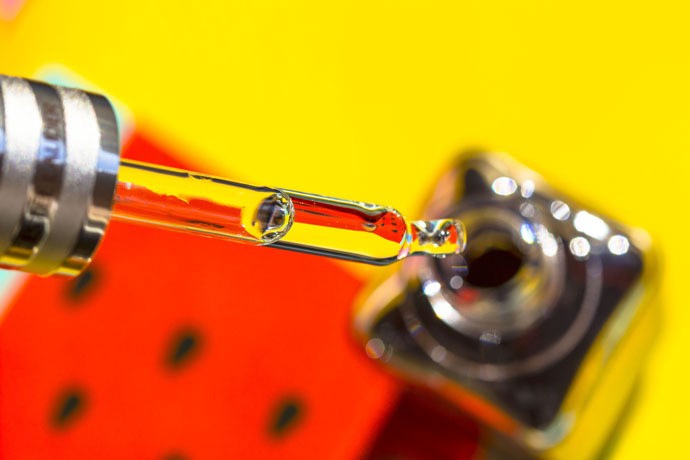 The ANR was enriched at the end of February this year with yet another product and after the launching last summer of the Intensive Recovery Ampoules (which is a very efficient product and for me it replaces the discontinued Advanced Night Repair Concentrate Recovery Boosting Treatment), I was really curious to find out what new developments could Estée Lauder bring on the market so soon after the ampoules. 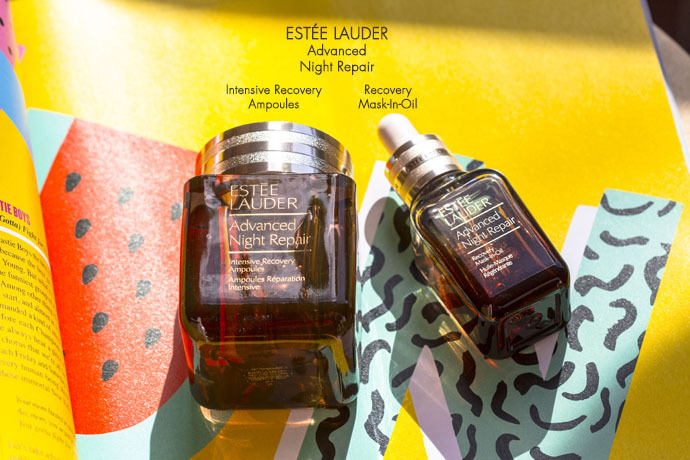 Estée Lauder Advanced Night Repair Recovery Mask-in-Oil (30ml/ €101) | This product “acts as a “repair lock”, helping seal in the benefits of a nightly repair serum, encouraging vital, natural nighttime skin recovery, while protecting and preparing skin for the day ahead. 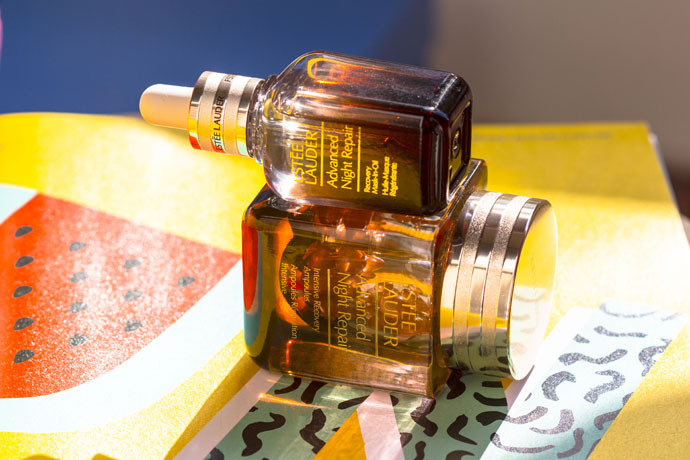 With concentrated mask strength, this lightweight, nourishing mask-in-oil delivers a specialized blend of skin strengthening actives to protect and rebuild skin’s strength as it helps lock in the nightly repair serum and helps “lock out” daily assaults. Used every night, as a final step in the evening skincare ritual, skin looks healthier with renewed youthful radiance.” (Source: press document). 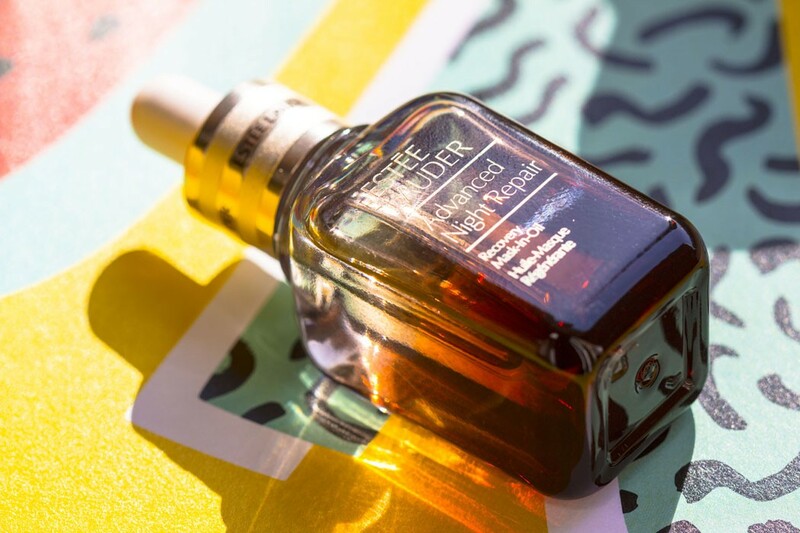 Estée Lauder Advanced Night Repair Recovery Mask-in-Oil has the texture of a light, dry oil and it smells like the serum only more discreet. I’ve tried it after the night cream however I prefer to apply it directly on cleansed skin. 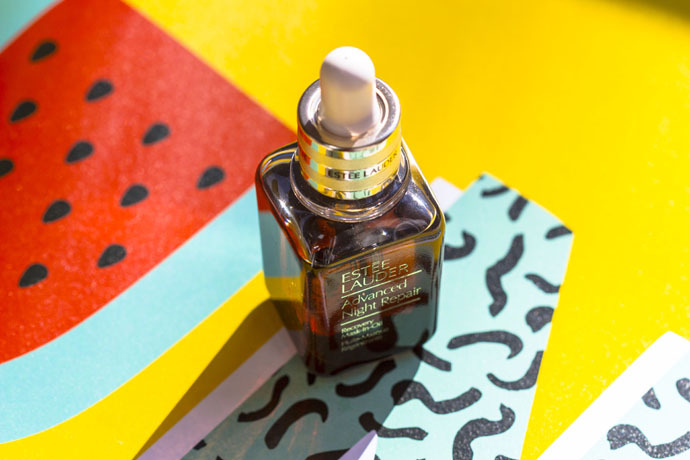 It’s the kind of face oil which doesn’t absorb totally into the skin, however the very light film at the surface doesn’t bother me at all, and I don’t feel my skin greasy in any way after applying the product. It’s the perfect product for a face massage and when doing this, the results are amazing. The product is very powerful, more efficient than the serum and it improves the general aspect of my skin even after the very first use. 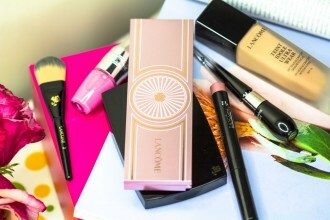 It’s a beauty boost and in the morning, the skin looks more fresh, smooth and plump. I don’t suffer from acne; however I deal with episodes of mild acne from time to time. 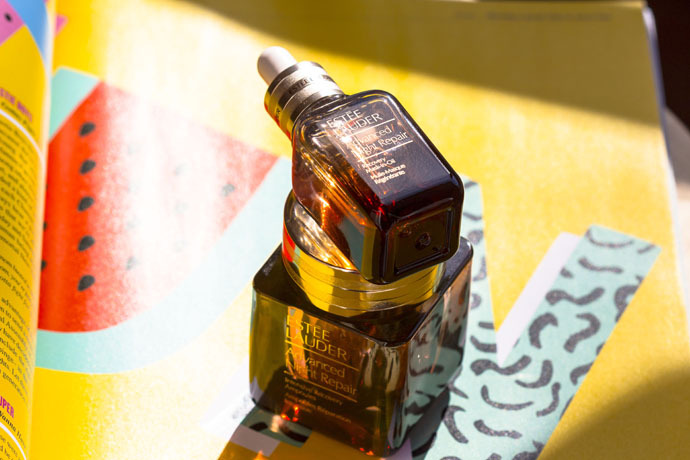 During one of these episodes, I’ve decided to apply the Estée Lauder Advanced Night Repair Recovery Mask-in-Oil and the most surprising results for me regarding this product, were when I woke up that morning after: the skin had such an improved aspect, I really couldn’t believe it. Keep in mind though that my acne is really light and so I don’t know how the skin with serious acne would react to this product. I also like to mix the Advanced Night Repair Recovery Mask-in-Oil in one of the more solid concealers that I have in order to make it creamier. It really works beautifully. the Mask-in-Oil is perfect to be used each evening for keeping the skin really moisturised, for making it smoother and more plump; if you have both the Synchronized Recovery Complex serum and the Recovery Mask-in-Oil, you could apply the serum in the morning and the oil in the evening; if, you’re dealing with dry skin, you can use the serum and your day cream in the morning and the serum and/ or night cream followed by the Mask-in-Oil as the last step in the evening routine. I have combination skin and that is why I prefer to apply the Advanced Night Repair Recovery Mask-in-Oil on cleansed skin, and for me, it works perfectly. I recommend it to all of you 35+ ladies and gentlemen. Those of you who deal with acne prone skin and/ or sensitive skin should better try a sample before buying this product.